The Ross name has a long standing tradition in the Western Massachusetts Legal Community. The late John D. Ross of Holyoke, purchased a safe, typewriter, filing cabinets, and library from the late William T. Dillon in 1931 to open up the law office of John D. Ross. 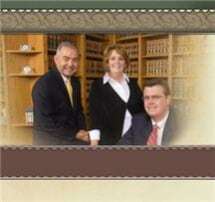 In 1948, John D. Ross, Jr. joined his father at the Springfield law offices to establish the law firm of Ross & Ross. In 1985, Cauleen Ross Kearney and John D. Ross, III joined the firm. The law firm of Ross and Ross has been providing Massachusetts with a comprehensive range of trial and litigation services, including personal injury, insurance defense, and appellate law. In the past decade the firm has expanded its practice and offers complete estate planning services, including wills and trusts, real estate law, comprehensive representation on zoning and land use issues, commercial banking, business planning, and corporate law. For three generations, Ross and Ross has been responding to the diverse and complex legal needs of their clients. The attorneys at Ross and Ross have each developed a distinguished and individual area of expertise, yet collectively they believe in servicing their clients and the community with a profound sense of loyalty and commitment. In an era of constant change and mobility, Ross and Ross is proud to remain a consistent and dedicated law firm within the greater Springfield region.